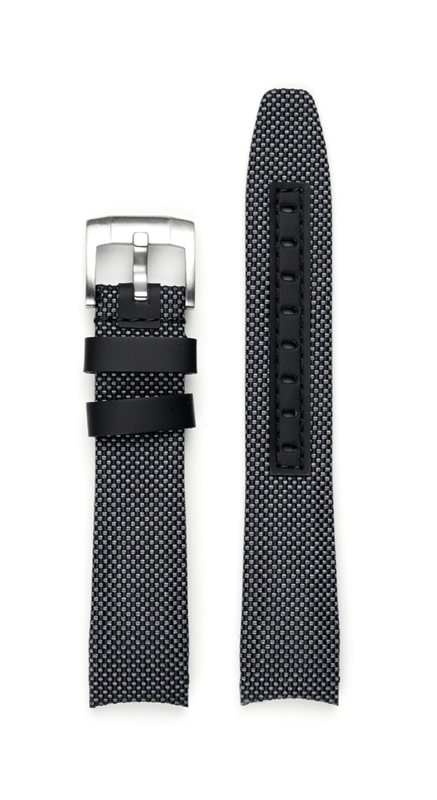 Everest Gray nylon strap (EH8) with curved ends for Rolex Watch Models. 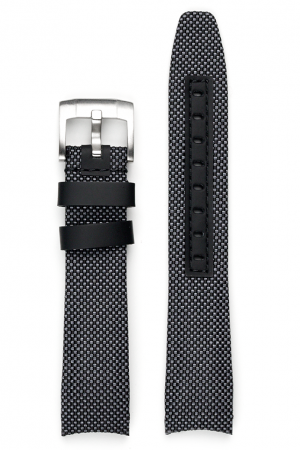 Your order includes two Rolex style 2.0mm spring bars, a Custom, Curved End Nylon strap and a custom Everest Oyster tang buckle. Watch not included.